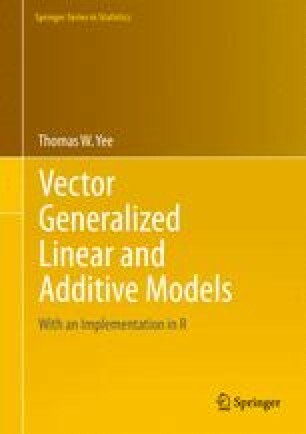 This chapter and the next enumerates over 70 univariate discrete and continuous distributions as VGLMs/VGAMs which are currently implemented in VGAM. Other variants, such as positive (zero-truncated), zero-inflated and zero-altered models, are described in a later chapter. A section is devoted to negative binomial regression, and it is shown that the VGLM/VGAM framework allows quite a number of variants to be naturally fitted.